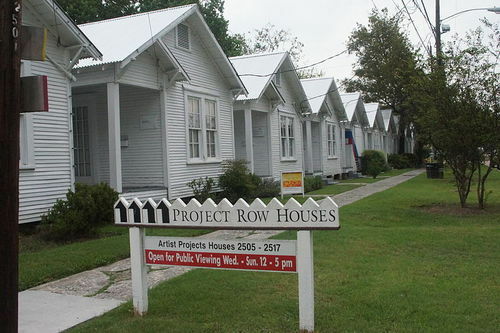 Project Row House is a project which began in 1993 as a neighborhood non for profit organization which attempted to maintain the rich African American history of the area while securely protecting the architecture and land that the third ward was known for. The organization began by purchasing 1 and a half city blocks consisting of 22 shotgun style homes. They now own 6 blocks owning 40 properties. As the name aptly implies, this exhibit allowed painters, known for their rainbow canvases to paint entire homes. 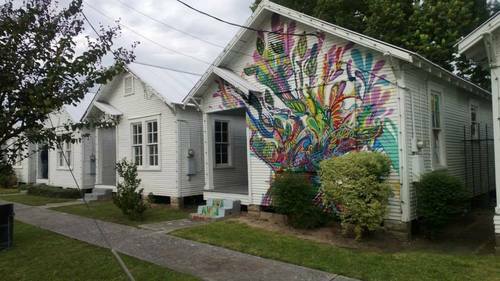 Wiley Robertson is a well known artist, street artist and muralist whose prolific LOVE signs painted on wood can be found throughout Houston. 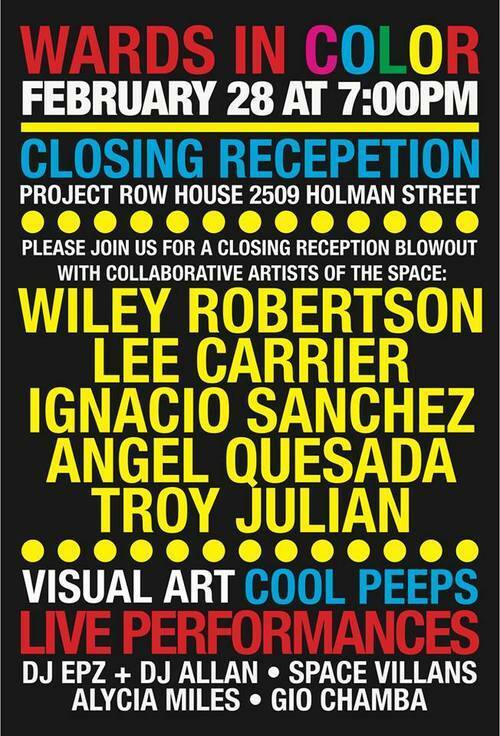 (Photo of Wiley Robertson work above, used courtesy of: Angel Quesada). (photo used courtesy of: Angel Quesada).